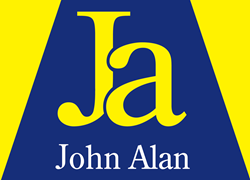 John Alan are delighted to act as sole agents in the sale of this larger than average four bedroomed ground floor purpose built flat situated conveniently for all amenities including Beckenham Hill railway station. The property is offered with immediate vacant possession and would be ideal for either a first time buyer or an investor on a buy to let. Keys held. Entrance: Via communal front entrance door leading to own front door and spacious hallway with laminate flooring and storage areas. Kitchen: 9'6 x 9'1 Double glazed window to side, range of wall, base and larder units in oak finish with inset stainless steel sink unit and mixer taps, worktops with post formed edges, partly tiled with extractor hood, plumbed for washing machine and tumble dryer. Bedroom 1: 12'1 x 11'0 Two double glazed windows to side, laminate flooring, radiator, power points. Bedroom 2: 12'1 x 9'4 Double glazed window to side, laminate flooring, radiator, power points. Bedroom 3: 11'10 x 8'11 Double glazed window to side, radiator, power points. Bedroom 4: 9'1 x 8'1 Double glazed window to rear, radiator, power points. Bathroom: Two double glazed windows to side, white suite comprising shower cubicle and pedestal wash hand basin, fully tiled walls. Separate WC: Double glazed window to side, low level system, fully tiled. Tenure: Share of Freehold with the benefit of a 93 year lease (commenced 3/10/88 to 8/11/2112). 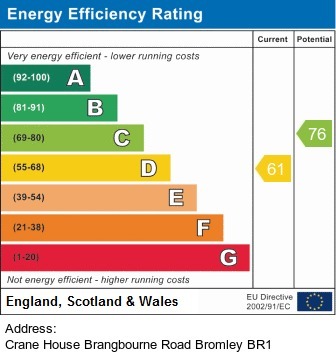 Service Charge: We understand from the vendor that it is approximately £900 per annum (to be confirmed by solicitors).